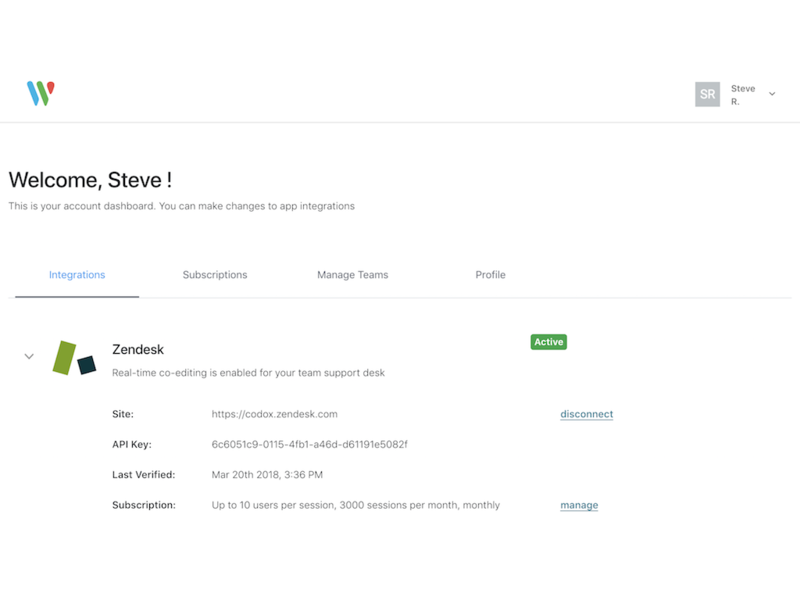 Wave helps your support team improve customer response times by enabling real-time coediting directly inside Zendesk Support. 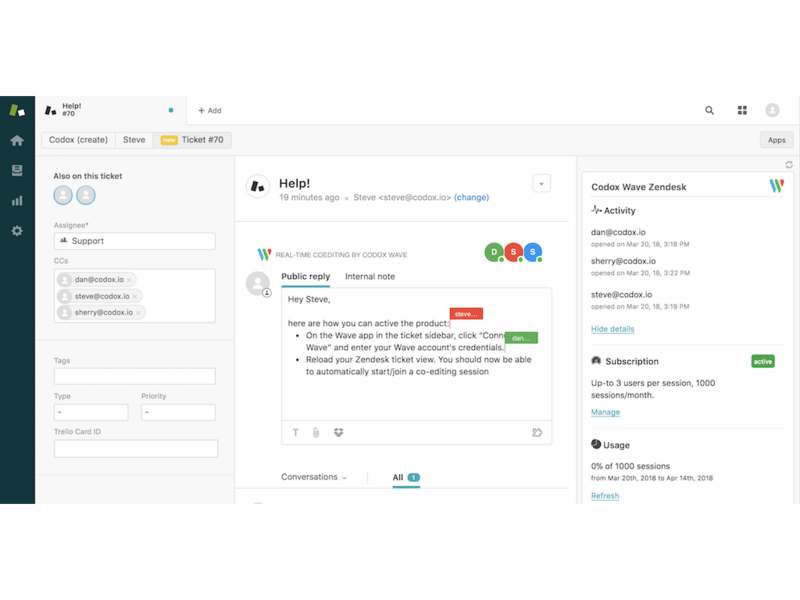 Support team members will be able to draft and edit responses together and see each others edits instantly word-by-word. Help your team's new hires with the language, editing and the tone of conversations. 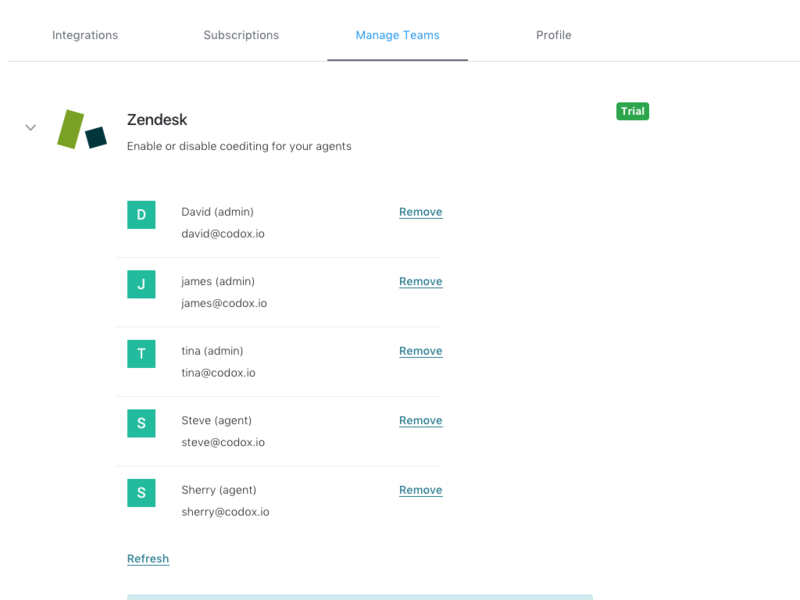 Solve tickets faster by allow multiple agents to chime in and help out. Improve the quality of responses and reduce the number of reopens. After installation, open a new/existing ticket and locate Wave app in the ticket sidebar. Click “Connect to Wave” and enter your Wave account's credentials.